Have a business or home in Poolesville, MD that will need new exterior or interior doors? By using King Door and Lock’s speedy door installation 20837 services, you’ll have a completely new door in no time at a cost that will not hurt your wallet. We supply complete Montgomery County door installation assistance for homes and offices in Poolesville, MD with fast and friendly service, upfront pricing, and 24-hour door repair or installation. Our company is a local, honest business that proudly offers outstanding services to residents of Poolesville. All our specialists are very competent and experienced, and we are experts in installing and repairing commercial, garage, and residential doors. The reasons to install a brand new entry door in Poolesville are limitless. Possibly your entrance door is weathered and has seen better times? 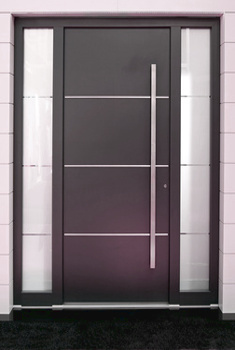 Or possibly you’re remodeling and require a new entry door to fit your refurbished office or home. And other times, your door might just need routine maintenance for instance mending the door frame, door hinges, and/or the doorjamb. Interior door repair and replacement happens for causes like wear-and-tear or defective door components. Fortunately, whether the doors to your home or business require maintenance or a whole upgrade, King Door and Lock Maryland and DC has your commercial, garage, and residential door repair and replacement requirements covered. Your home’s or business’ garage has a couple of important jobs. It’s the place where you most likely park your car(s) or the place where you store personal belongings. It is also an entrance to your house, which means if the overhead door to your home is not working properly it could encourage thieves. If your garage door suddenly breaks, you could be locked out or in and unable to leave the garage unmonitored. To avoid sudden garage door issues that arise at the most inopportune times, our experts work around the clock to offer last minute garage door replacement in the 20837 area of Poolesville, MD. We can also make regular service calls to check up on your garage door and make certain that the hardware and locks are in working order. Nothing seems more frustrating than having a door that will not open or close properly and this can occasionally become a safety issue, particularly when it comes to the balcony doors of your house and front door replacement. In the event your home’s balcony doors no longer fully close, anybody can get access to your home. This is a serious security breach. Luckily, 20837 property owners will be able to depend on King Door and Lock Maryland and DC to repair damaged balcony doors in Poolesville, MD. Our company specializes in the replacement and repair of industrial doors such as: storefront door installation, automatic doors, and installation of fire-rated doors.If you own a business, then it’s crucial that you maintain the doors to your building. 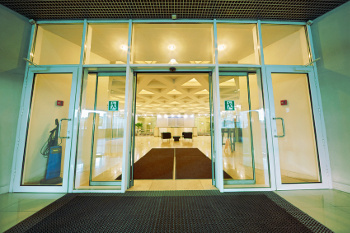 It is important to keep the customers that open and shut your office’s doors protected. Whenever a door is not functioning properly, particularly an automatic door, this could possibly bring about an unfortunate injury. At the same time, if the doors to your commercial property aren’t working properly, it might impact electricity bills as well. Have a garage, home, or commercial door that must be repaired? Our techs will let you know whether it’s more cost-effective and beneficial to repair it or completely replace it to prevent further door issues in the future. With a helpful staff, upfront prices, and skilled techs, expect services that will surpass your expectations. Give King Door and Lock a call for a free quote or to learn more about our door installation 20837 assistance! No door replacement or repair job is too small or large for us at King Door and Lock Maryland and DC. Furthermore, as we are local to the 20837 area, we take great pride in excellent customer service and supplying professional services. Contact us without delay if you’re considering upgrading the doors to your home or business, or if your doors are in need of servicing or repairs. Door Installation 20837 Company in Poolesville, MD https://kingdoorandlock.com/maryland-door-installation/montgomery-county/poolesville/20837-md/ 4.2/5 based upon 29 reviews.